Our objective for the Vista collection was to create a casual transitional collection by utilizing everyday transitional styling and incorporating it with some seemingly casual elements and accent pieces. 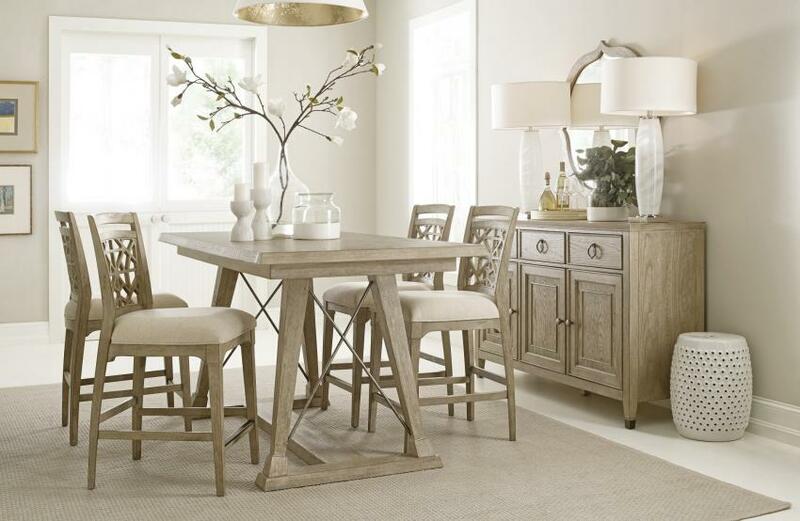 The Vista collection presents a full lineup of bedroom, dining room, entertainment, and occasional furniture. 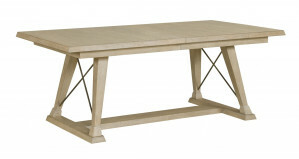 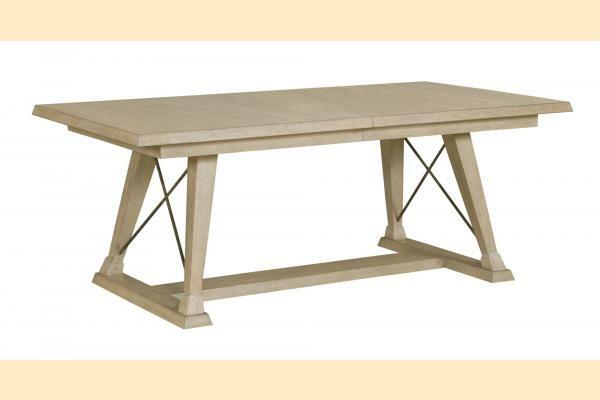 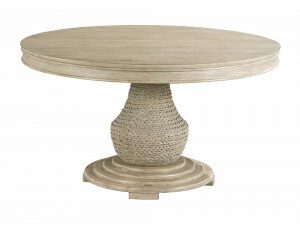 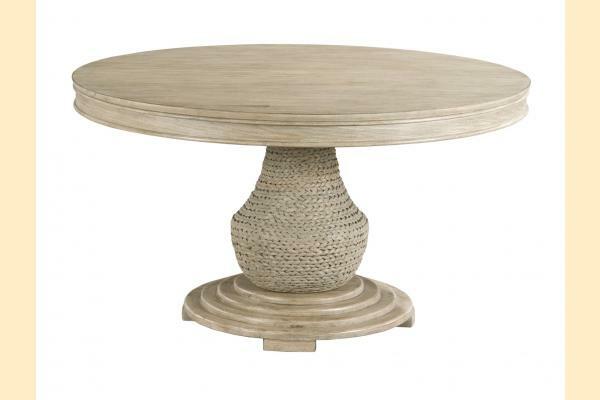 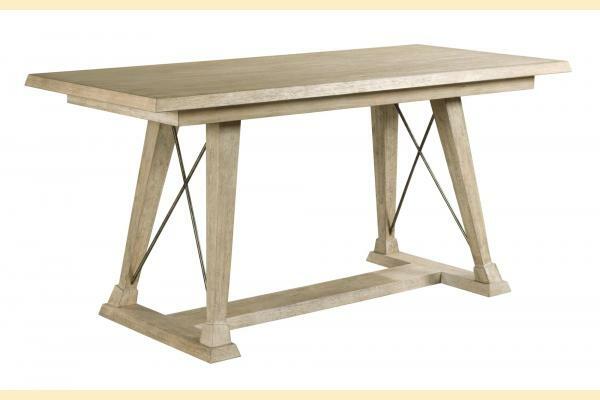 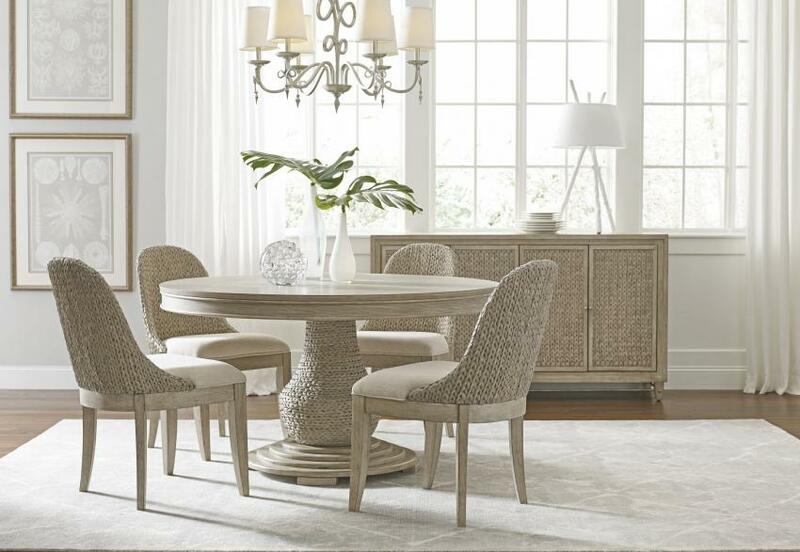 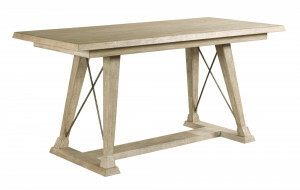 The dining room consists of a regular and counter height rectangular trestle table with a metal “X” pattern stretchers between the flared square tapered legs, a round pedestal table with a woven seagrass pedestal and a layered wood base. 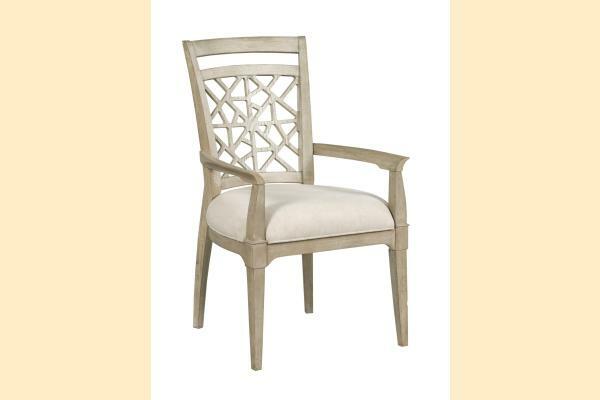 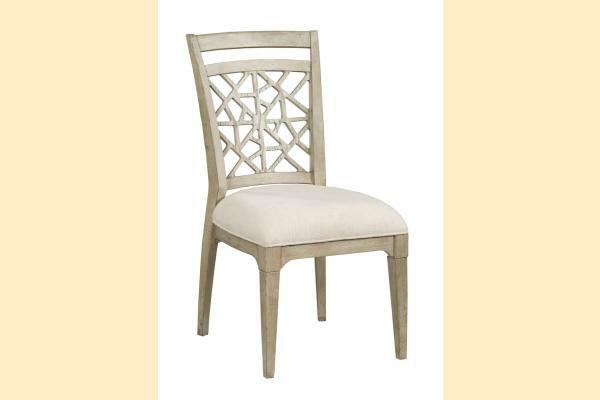 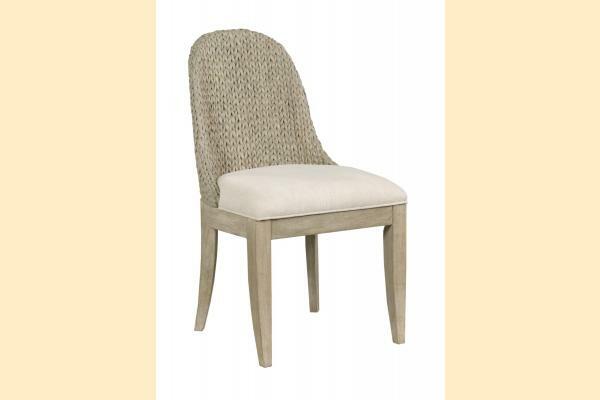 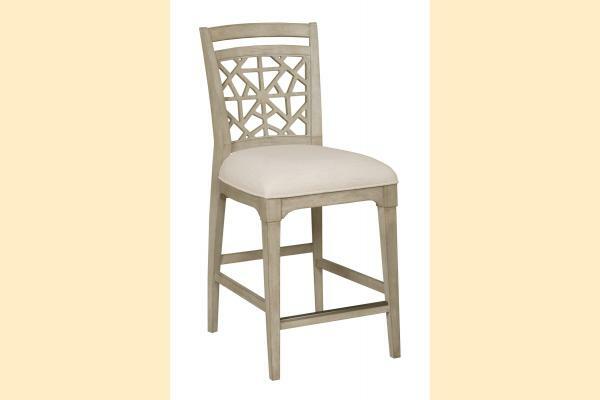 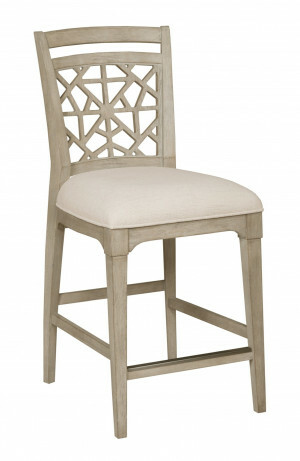 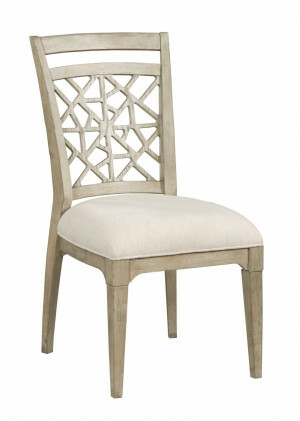 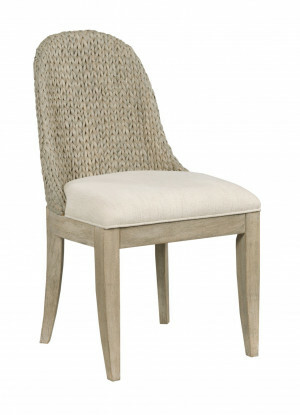 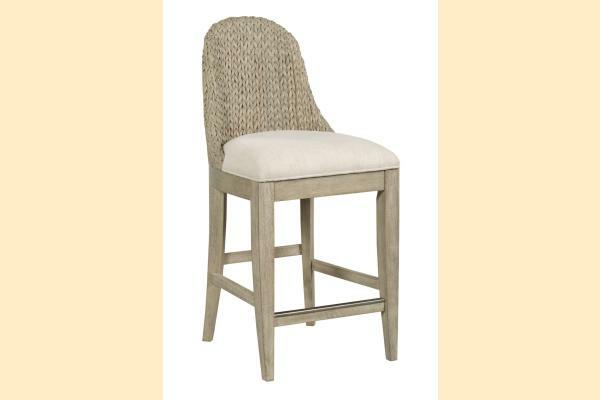 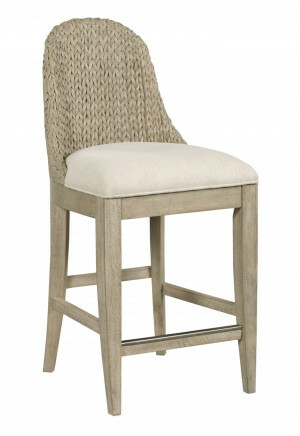 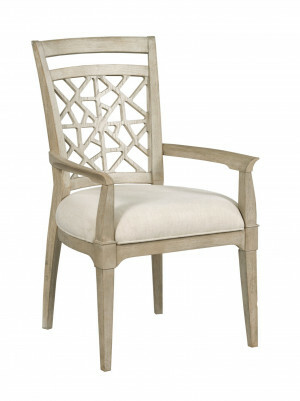 A stylish arm chair, side chair and counter height stool with the common geometric fret pattern in the chair backs, regular and counter height woven seagrass chairs. 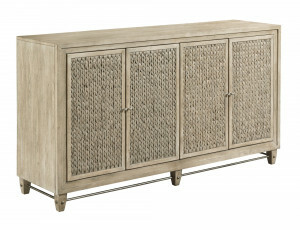 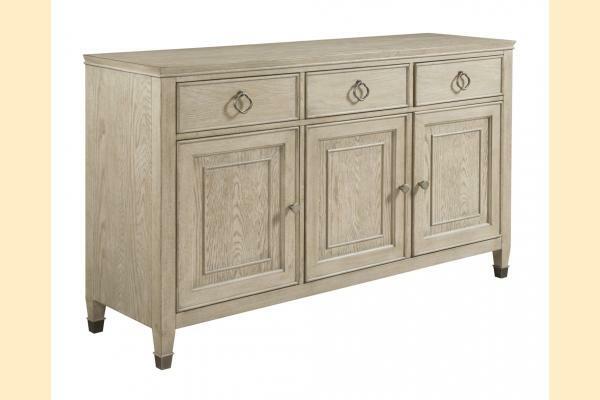 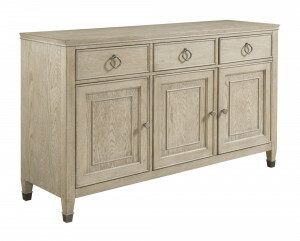 A (4) door buffet with wood-framed seagrass doors, metal stretcher and an additional buffet option with 3 wood panel doors and 3 drawers.